I have been, unfortunately, unable to post this review until now. The good news of that is rather than posting a review immediately after watching a movie, I can think back on it, mull it over, and give what I believe is a better review. 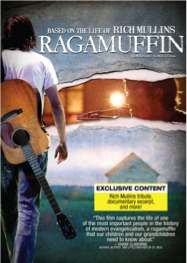 I was excited to hear of a DVD coming out called Ragamuffin which is based on the life of Rich Mullins. I followed his music from his first album -- before people started singing Awesome God. Although I never met him, his life and music influenced my life more than any other artist. This DVD is 137 minutes long, and although it's a Christian film, there is caution for language, alcohol use, and smoking. 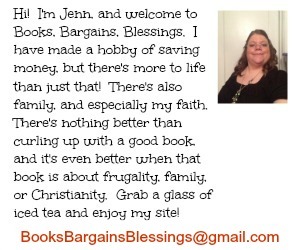 I am glad to see that Christian films are beginning to show life as it is and not some sugar-coated version where everyone is perfect because I know I'm not, and neither was Rich Mullins. My fiance had sung Awesome God a number of times, but couldn't tell you who wrote it. He knew nothing about the life and faith of Rich Mullins, but after watching it, he asked me why this was released straight to DVD and wasn't shown in theaters. He immediately started saying who he knew who would enjoy this movie, although like him they are not fans. So this is a fantastic film for anyone regardless if you know every word to every song Rich Mullins sang (I'm raising my hand here) or if you have never heard of him before. This is a film about the struggle of life. Hurts from childhood that sear so deep we never really get over them. Love that is not returned. Falling in love with Jesus. Living differently than the industry around you. Caring about people. Being a bit of a rebel. Being a Ragamufin. I don't want to imitate Rich Mullins, he's not the example we should strive to be, but I long for the faith he had. I admire him as a fellow believer and hope that my life can be like his. I have heard (this was not in the movie) that he usually signed albums "Be God's". This is the story of a man who strove to "Be God's" be in so doing, he was honest with himself and others about his failings, pain, and problems. I would love to win this and would share with family and friends. I have listened to Rich Mullins for a long time. I guess my favorites are Awesome God and Screen Door. I'd love to win this movie! When I first became a Christian, his music was so encouraging to me. He left this world too soon, but his ministry continues. One of my favorite songs of Rich Mullins is "Amazing God." Awesome God is my favorite. I had never heard of Rich Mullins until this movie came out, I am excited about seeing it and look forward to hearing his music. I love his song Awesome God. It is so inspiring.